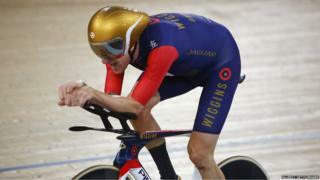 Sir Bradley Wiggins has broken the UCI Hour World Record by completing a distance of 33.88 miles. That's roughly the equivalent of cycling from Liverpool to Manchester. The 35 year old beat the previous record by more than a mile. That was set by fellow Briton, Alex Dowsett in May. 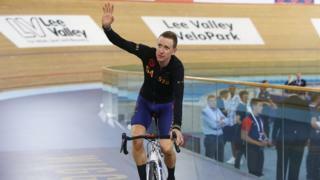 Wiggins set the record at the Lee Valley Velodrome in London, completing 219 laps. He was cheered on by huge crowds. It's the fifth time the record has been broken in the past nine months. 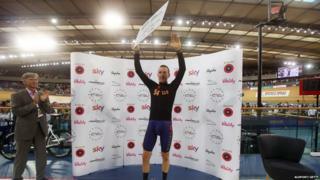 Sir Bradley Wiggins became the sixth rider to claim both a Tour de France title and the hour record. But he said he was disappointed he didn't hit the target he'd set himself. He had wanted to do 221 laps. He says he may try again in future to beat his own record.